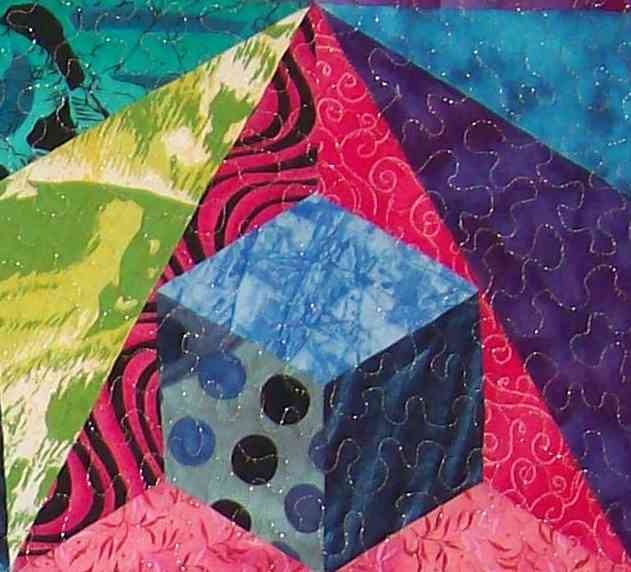 Sandy Barrett Hassan, a native Washingtonian, began quilting in the 1970s by making crib quilts for her daughters and gifts for friends and family. 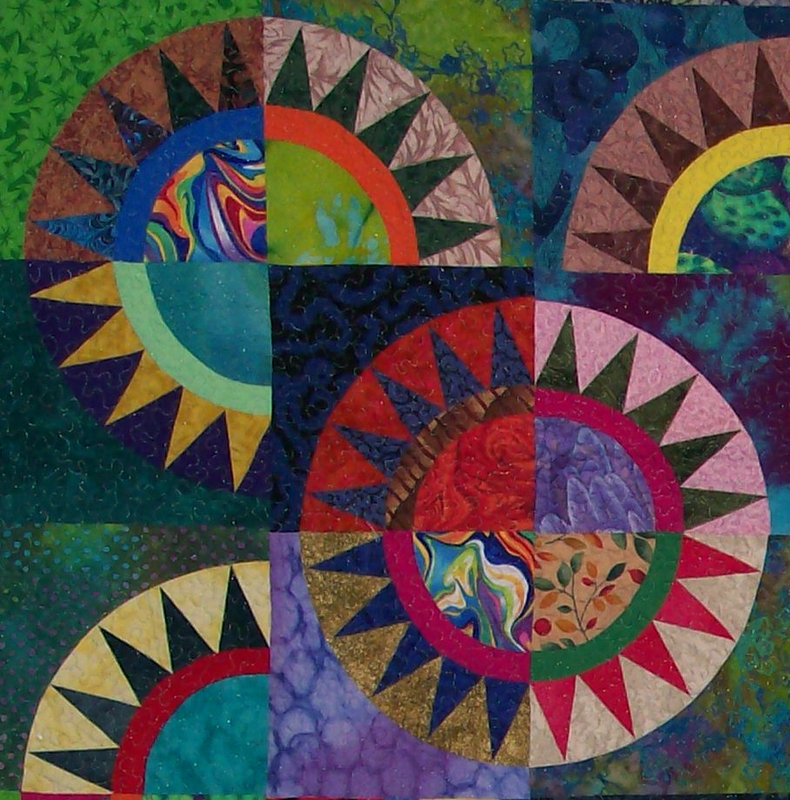 In 1984, she joined the Daughters of Dorcas, a D.C. chapter of the National Quilting Association, and in 1994 she became a member of Uhuru Quilters. I have been collecting fabrics for thirty years. My “stash” includes bold African prints, designer samples, batiks as well as calicoes. I am enamored of traditional quilt patterns. Color is my strength – joyous and bold. The colors I choose are entirely dependent on mood. I adore hues and tints of cool blue and green, lush shades of burgundy, fuchsia, and violet as well as deep rich chocolates. When I’m in the mood to dance, only the full color wheel will do. Getting color right is risky business. My cedar chest is full of unfinished pieces because the colors simply did not feel right. It’s the process of quilting, rather than the end product that I enjoy most. The finished quilt is a reference point for the next project. There is a lesson to be learned with each piece. The lesson may have to do with color and technique. Or, it may relate to life – forgiveness, passion, freedom, justice…. Many have inspired my work – Kyra Hicks, Karen Stone, Nancy Crow, Viola Canady, Sandra Smith and Reynola Pakusich – to name only a few. Hats off to all quilters! In addition to quilting, Sandy enjoys gardening, singing and dancing. She was a member of the African Heritage Dancers and Drummers performance troupe. She sang and recorded with In Process, an a capella ensemble that grew out of a workshop with the renowned Sweet Honey in the Rock. She is married to jazz educator, Rusty Hassan, has two daughters, two grandchildren and is a full-time employee of the DC government. If you see something you like or if you have a special request, please don’t hesitate to contact Sandy via e-mail.